With automated backups, lightning-fast provisioning, 24x7 monitoring, and best-in-class support. Have a few seconds to spare? Operating servers can be costly and time-consuming. 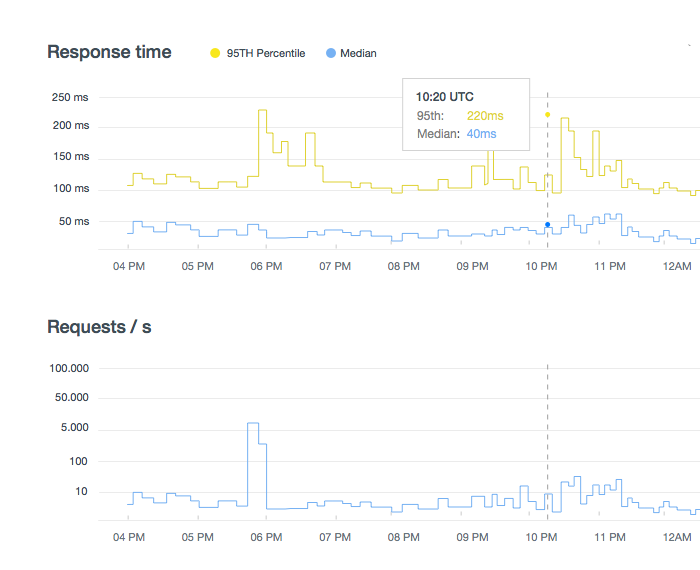 Free up the time you spend operating servers by leaving production operations to us. to get up and running with Neo4j? Get up and running in your cloud provider of choice in seconds. Amazon Web Services and Heroku are supported. We have plans that cover any product size or level of maturity, from prototypes to highly demanding applications. 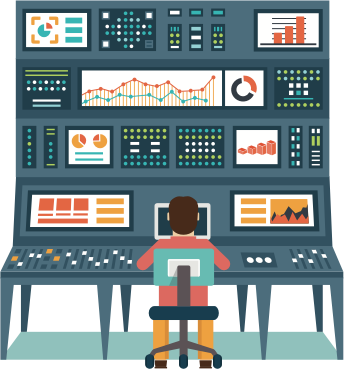 Manage your database, view metrics, and download logs from our easy-to-use dashboard in real-time. Scale when you need to, pay only for what you actually use. Leverage our team collaboration tools to enable your team to get what they need when they need it. 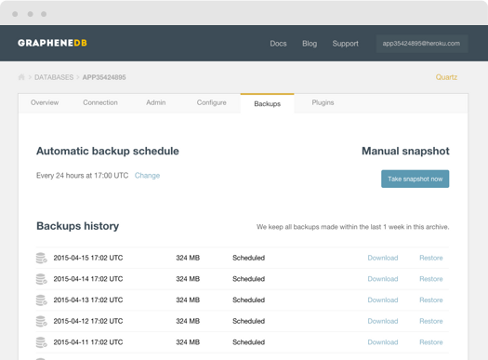 Backup automatically or on-demand. All backups are monitored and validated. Disaster recovery is possible through redundant backups in multiple regions. SSL secured data endpoints are fully supported. No one manages more instances of Neo4j in the cloud. Our team of experts is at hand to help you anytime, anywhere. With 24x7 automated monitoring and staff on-call, you can get the help you need when you need it. CÍVICO is a crowd-sourced mobile application that is building and mapping the most relevant digital information system for Latin American cities. Signing up only takes a few seconds, no upfront commitment needed. You'll be up and running with a Neo4j cloud instance in less than it takes to finish reading this sentence.